The case will mark the end of a five-year legal battle over Yukon's vast and pristine Peel watershed, and determine what happens when a government fails in its obligations under a modern First Nations treaty. 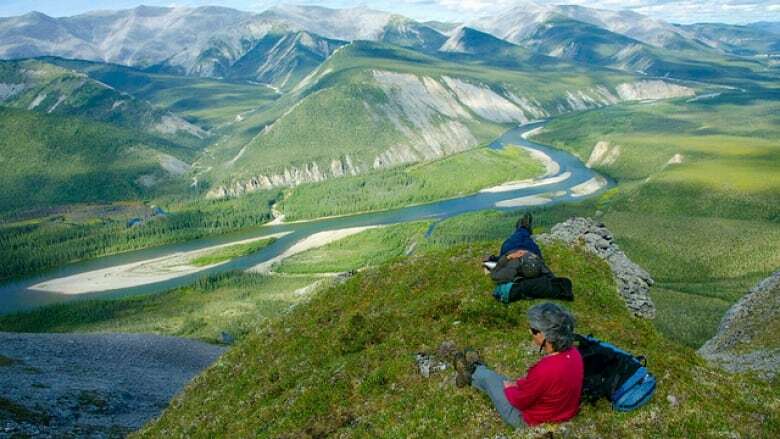 The Supreme Court of Canada will hear a case this week that will shape the future of a vast, pristine wilderness area in northern Yukon. The case will also mark the end of a five-year legal battle over the Peel watershed, and determine what happens when a government fails in its obligations under a modern First Nations treaty. "It's been a long trail," said Roberta Joseph, chief of the Tr'ondëk Hwëch'in, one of three Yukon First Nations fighting the case (along with two environmental groups). "A long journey for many of our First Nations people, as well as Yukoners as a whole." Joseph will be in Ottawa among the delegation who has taken the fight over the Peel to the country's highest court. The case will be heard on Wednesday. "What's at stake is the intent and honouring the spirit of our agreements," Joseph said, referring to land claims agreements that were negotiated by Yukon First Nations and the Crown spanning back three decades. Those agreements spell out a land use planning process — a detailed, specific and collaborative mechanism for deciding how large sections of land in the territory should be shared and used. Eventually, many parts of the Yukon will go through this process, but for now, everything's on hold until the Peel case is settled. Earlier court decisions found the Yukon government failed in its treaty obligations when it came to the Peel plan. The Supreme Court will decide what happens next. The Peel watershed region sprawls over 68,000 square kilometres in northern Yukon. It's an area larger than Nova Scotia and closer to the size of New Brunswick. Some grandfathered mining claims are staked in the region, but the Peel watershed remains largely untouched. Six rivers run through the region among mountains and flats. There are no permanent settlements, and an abundance of wildlife. First Nations have described the region as sacred and some initially wanted to see the entire area off-limits to development. In 2009, after nearly six years and $1.6 million, an initial plan for the Peel watershed was created by an independent commission. That plan recommended protecting 80 per cent of the region. Two years later, after more review, the Peel watershed planning commission stuck to that recommendation. But the process soon broke down when in 2012, the Yukon Government instead introduced its own plan and it looked a lot different — only 30 per cent of the region was to be protected. Local First Nations and environmental groups cried foul, and launched a legal battle. The government fought back. Two lower court rulings ultimately agreed with the government's opponents, saying the territory had breached its treaty obligations by ignoring the original commission's recommended plan in favour of its own. The government acted outside the bounds of the co-operative process. 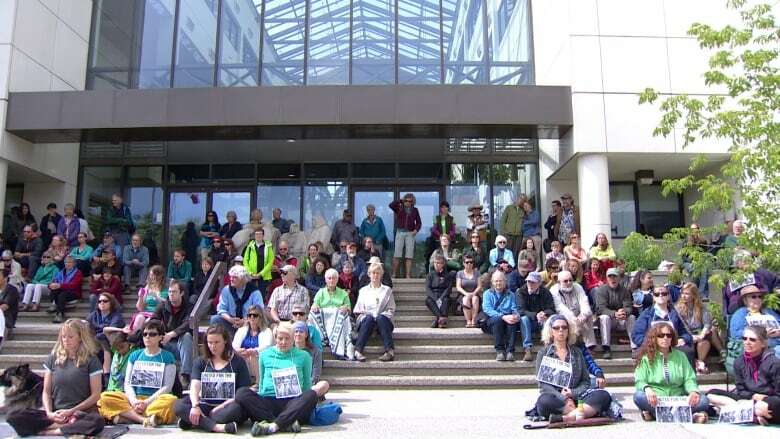 But the dispute was not over — there was still no accepted plan for the Peel region, and the courts differed on whether the planning process should be dialled back, or how far. "The clarity that will be provided by the Supreme Court of Canada in this case will allow the parties to proceed with completing the Peel land use plan," said Yukon's Justice Minister Tracy-Anne McPhee earlier this year. The Yukon government is arguing to have the planning process go back to where input from all parties could be considered. The government — now led by Liberal Sandy Silver, after the Yukon Party's ouster last year — argues it didn't fully respond to the initial plan and that's where the process went off the rails. It's arguing that going back to that point would allow for reconciliation. But the conservation groups and First Nations argue that going back in time would also be a violation of the treaty, allowing for a "do-over." Instead, they argue that the commission's final recommended plan, from 2012, should stand, and be considered. 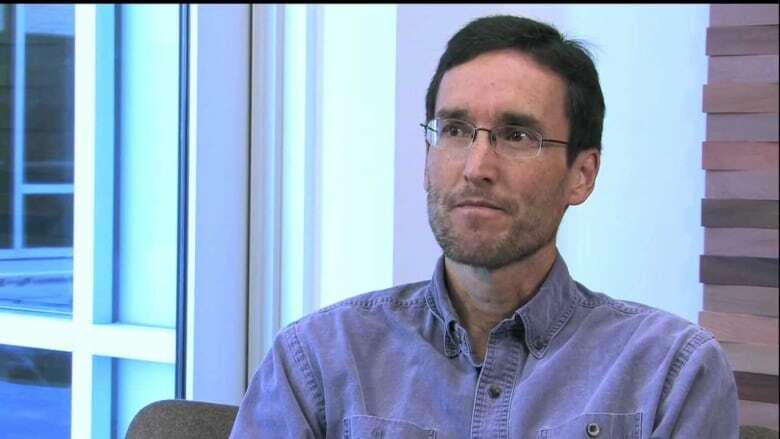 Going further back undermines the process, argues Jeff Langlois, the lawyer representing the Gwich'in Tribal Council, an intervener in the case. "Should the Crown just be able to have as many do-overs as they like, or should they respect what really comes out of these processes?" He said. "It doesn't provide much deterrent to a government that perhaps doesn't like the result of a collaborative land use or a collaborative decision-making process." The Supreme Court will consider where the breach occurred and what remedy should be applied. There are also questions around the extent to which the Yukon government has the right to ultimately reject a plan that arises from a collaborative process. A decision from the Supreme Court is not expected until later this year, but already there's interest from elsewhere in the country. "Well, we haven't had a lot of cases dealing with the interpretation of modern treaties — so it will probably set some new ground rules," said Gordon Christie, a professor of law at the University of British Columbia. He hopes the case will also give the courts an opportunity to consider the attitude of the Crown toward modern treaties. "It's been the experience, I think, of most First Nations or Indigenous groups that once they get a modern treaty, they then have to fight the Crown tooth and nail everyday after that, trying to get the Crown to implement the promises it makes. "This will be hopefully an opportunity for the court just to set out some basic legal rules around that business, try and prevent the Crown from enticing people into modern agreements and then making it so hard for them to live with them afterwards." Dwight Newman, a professor of law and Canada Research Chair in Indigenous Rights at the University of Saskatchewan, will also be watching. He's interested in what the court might say about interpreting modern treaties, and how to deal with infringements. "In a number of lower courts, there've been some recent cases on interpretation of modern treaties that have gone in some different directions, and the Supreme Court really needs to get in there and help to clarify some of the principles," he said. "There are a whole series of modern treaties across Canada that haven't had that kind of interpretation at this point."